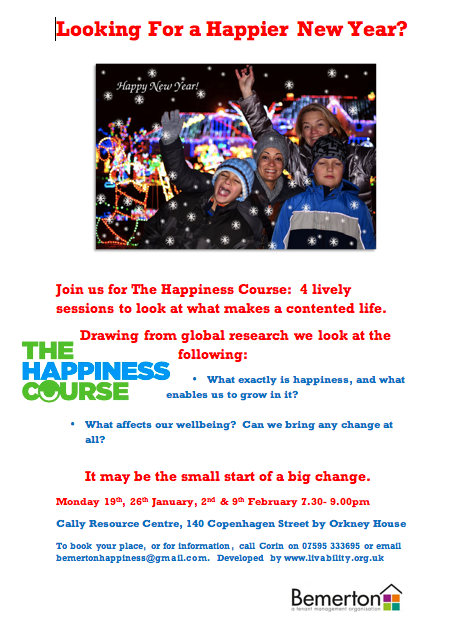 The Happiness Course is starting again! – this time we will be in the Cally Resource Centre. All are welcome!